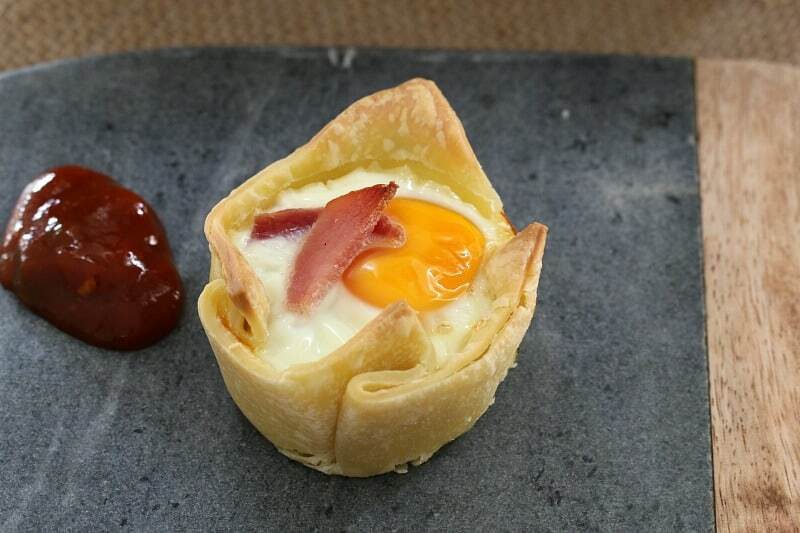 The easiest and BEST 3 ingredient egg and bacon pies ever… pop them into the oven for a delicious breakfast. They’re also freezer-friendly so you can prepare them ahead of time! I’m a big fan of eggs and bacon for breakfast. Dave makes us scrambled eggs and bacon every Sunday morning. He’s definitely mastered the art of it… it’s one of my fave parts of the week! BUT! It’s not always a lazy Sunday morning and sometimes you just need a quick and easy breakfast – but without sacrificing your bacon and eggs. 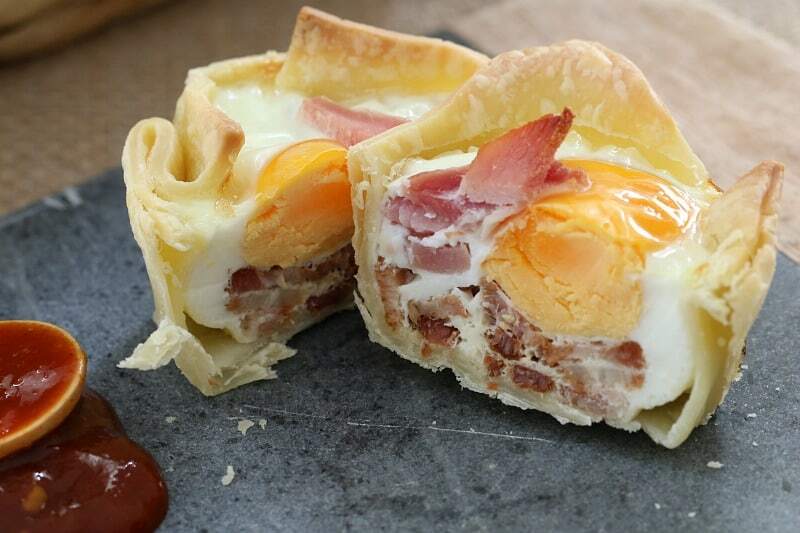 So let me introduce you to these 3 ingredient egg and bacon pies. I know, I know… I just love a 3 ingredient recipe. You really can’t get any easier than 3 ingredients. 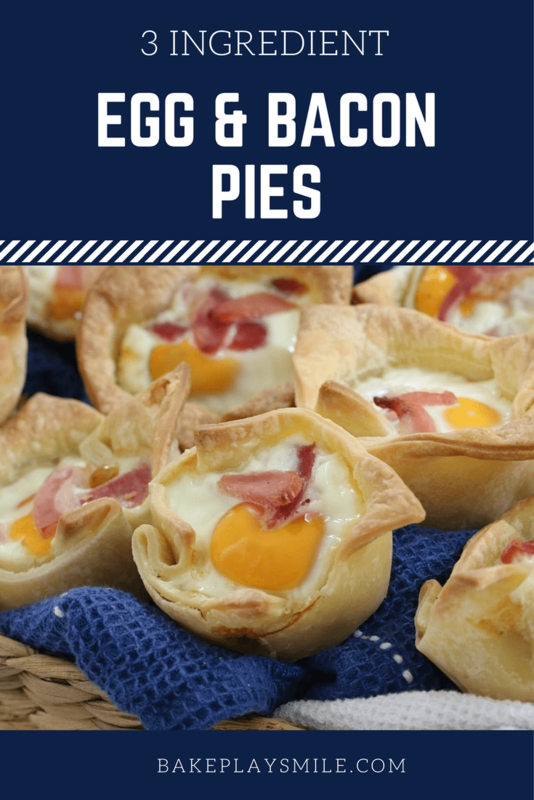 So to make these yummy pies, you’ll need some shortcrust pastry (you can also use puff pastry), eggs and bacon. E.A.S.Y! I like to use streaky bacon, but you can use any kind of bacon you like. Chop it up and fry 4 of the 6 rashers until crispy (leave two of the rashers uncooked for decorating the top). Meanwhile, pop your pastry squares into a well-greased muffin tray and prick holes with a fork all over the bottom of the pastry. 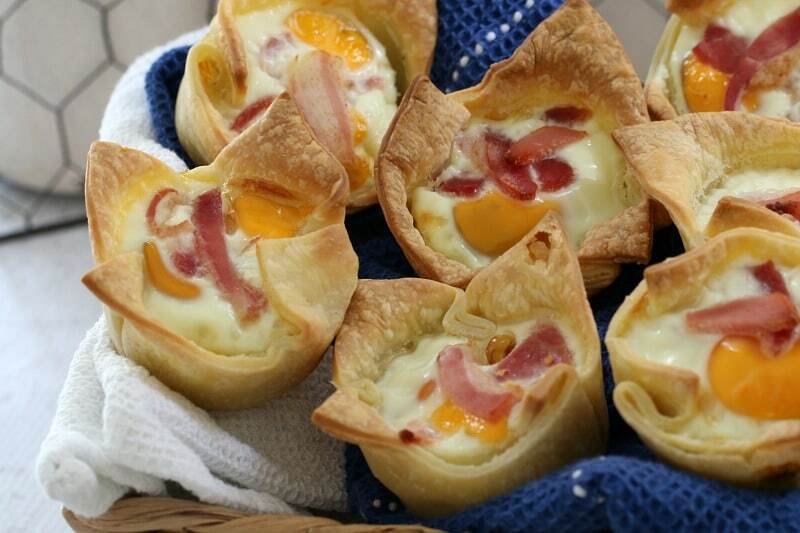 Divide up the bacon (eating a few yummy bits as you go), crack an egg into each muffin hole and top with the remaining bacon. And. that. is. it! 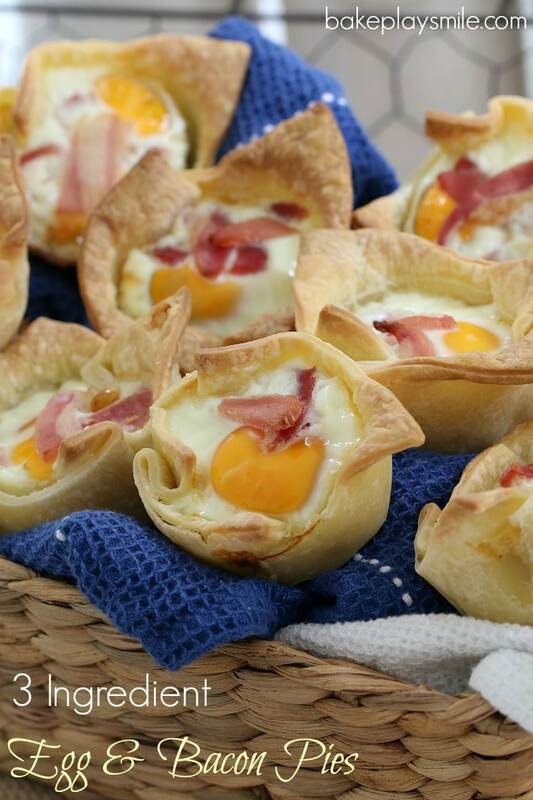 Once the egg and bacon pies are cooked, pop them onto a wire rack to cool slightly and then eat! I like to top mine with a bit of tomato chutney too… yum! 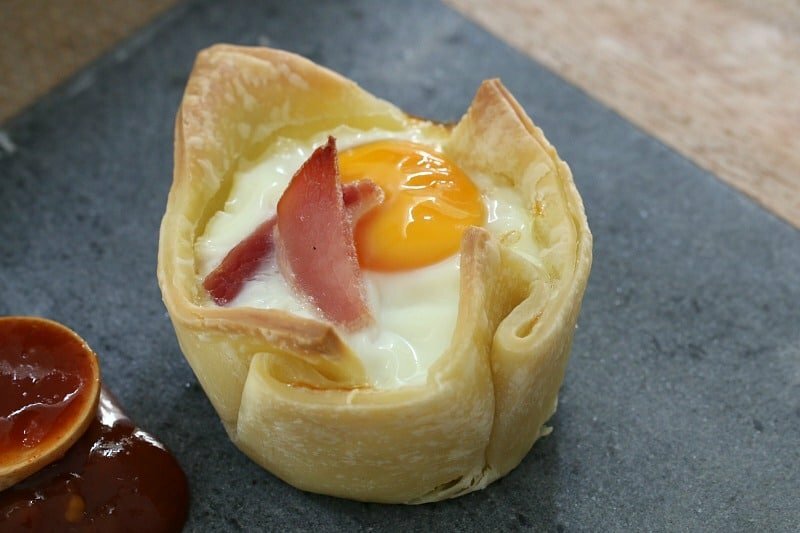 This recipe will make you 12 egg and bacon pies, but if you can’t possibly eat them all at once, pop them into an airtight container and freeze. This way you’ve got the perfect breakfast on the run. Simply reheat and you’re good to go! Love the sound of these pies? 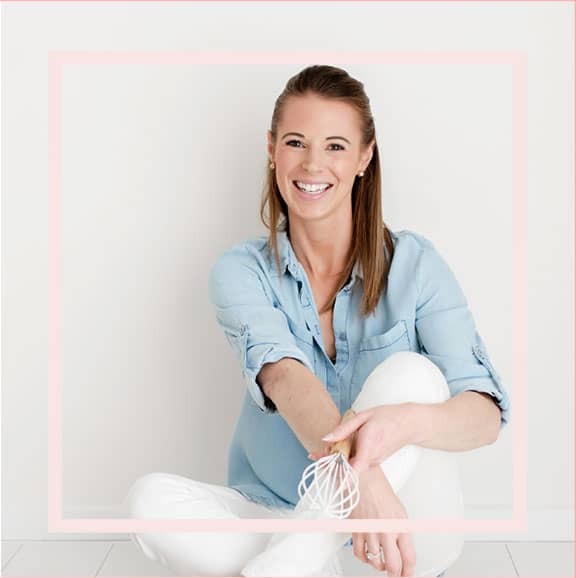 Make sure you check out my Ham & Corn Mini Quiches as well as my large family-sized Bacon & Egg Pie! 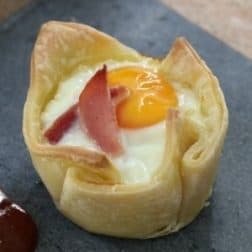 The easiest and BEST 3 ingredient egg and bacon pies ever... pop them into the oven for a delicious breakfast. They're also freezer-friendly! Grease a 12-hole muffin tray and set aside. Cut approximately 2cm off the edges of each pastry sheet (to make them slightly smaller). Then slice each pastry sheet into 4 equal sized squares. Press one pastry square into a muffin hole, prick the bottom of the pastry several times with a fork. Repeat with the remaining pastry squares until all of the holes have been filled. Cut 4 of the bacon rashers into small pieces and fry in a pan until cooked. Divide the bacon between each of the pastry holes. 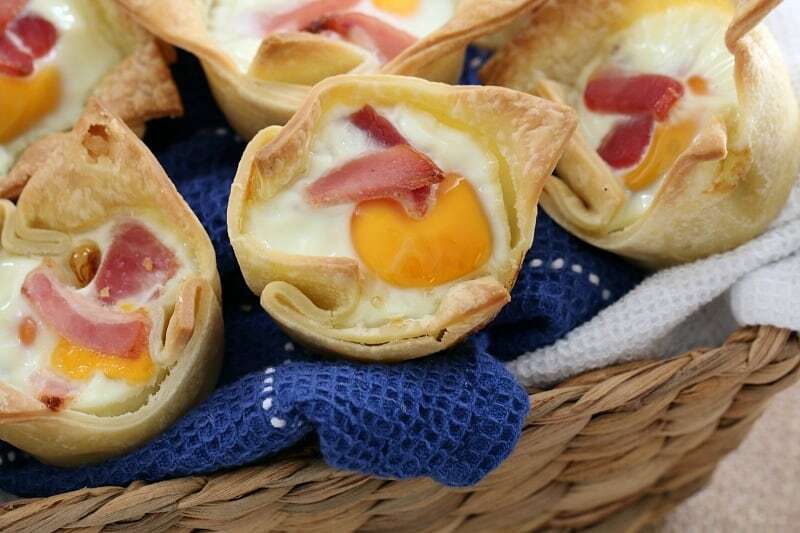 Crack an egg into each pastry hole (on top of the bacon). Please note that depending on the size of your eggs, you may need to leave a little bit of the egg white out so that it doesn't overflow. Cut the remaining bacon (uncooked) into small strips and lay over the top of the egg. Cook for 10 minutes then reduce the oven temperature to 180 degrees celsius (to stop over-browning) and cook for another 10 minutes or until the pastry is cooked through. 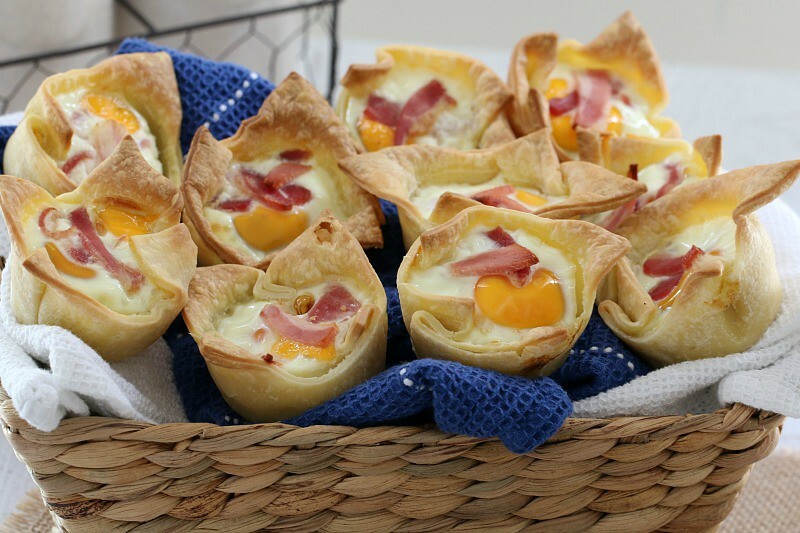 I could totally smash one (or two) of these for brekkie! They look the business!